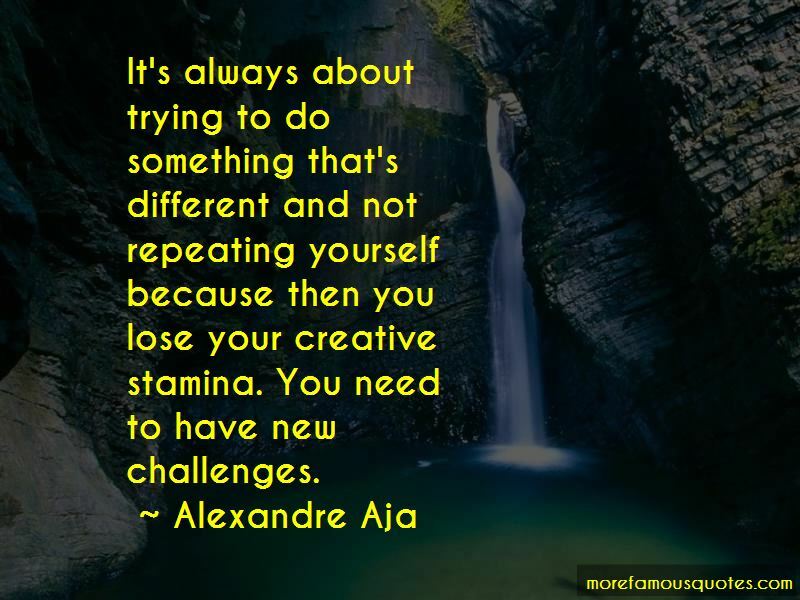 Enjoy the top 20 famous quotes, sayings and quotations by Alexandre Aja. 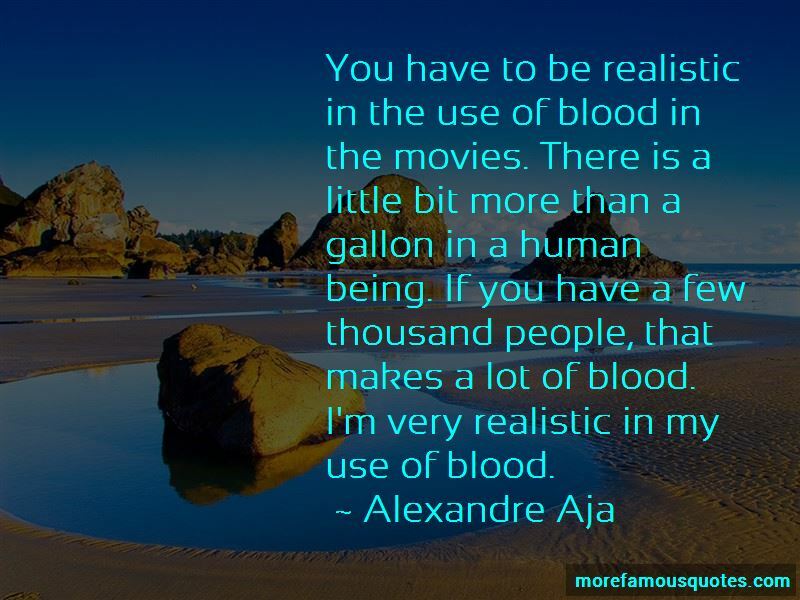 You have to be realistic in the use of blood in the movies. There is a little bit more than a gallon in a human being. If you have a few thousand people, that makes a lot of blood. I'm very realistic in my use of blood. In the horror genre, unfortunately you sometimes have the studio tell you, "No, go with more unknown people because it's a scary movie," and I disagree. I follow my instincts and I always think about what movie I would like to see. If I want to see it then I'm guessing that some other people might want to see it as well. I never try to think about what people will love or will like, because when you start to think for other people that's where you lose track of the real motivation. 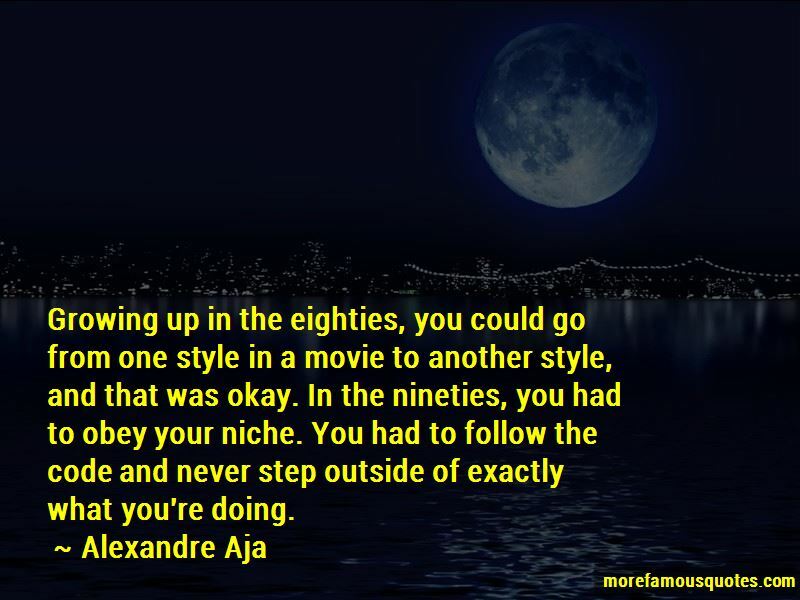 Want to see more pictures of Alexandre Aja quotes? 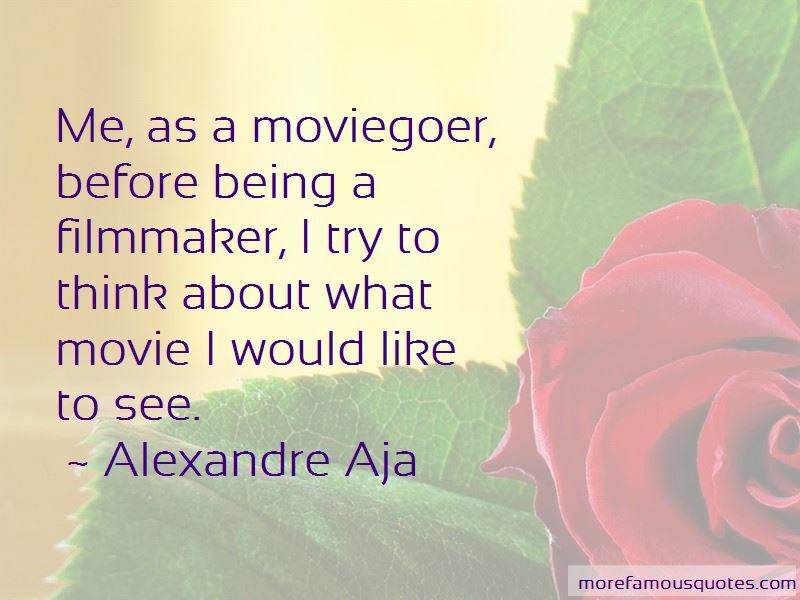 Click on image of Alexandre Aja quotes to view full size.